Pros Gets our top marks for clear, soothing sounds and realistic nature tones. Features adaptive sound technology that automatically adjusts the volume and alters its sound profiles for optimal sound quality. Streamlined and attractive. Cons One of the most expesive sound machines on the market, but it has the quality to match its price tag. 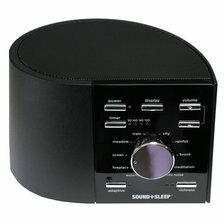 Summary Clearly the best sound machine for users who want convenient features and rich sounds and don't mind paying for top-notch quality. Pros An attractive sound machine with a unique, thin design. 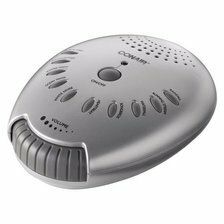 Offers 30-, 60-, or 90-minute timer selection and nature sounds and white noise options. Features a notch in the back for hanging the unit on the wall to free up space. Cons The wind sound feature is distracting and unpleasant, and the volume does not go as loud as some users prefer. Summary A unique design a variety of sounds, but users who want both nature and white noise sounds will get better quality with the Ecotones and a better value with the Conair. Pros Unlike other models we tested, this model's sound is not prerecorded, but comes from an actual fan inside the unit. 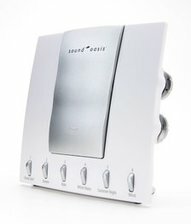 Recognized as the official sound conditioner of the National Sleep Foundation. Cons Fewer sound adjustments and not as rich sounds as the Ecotones and LectroFan models. Also lacks nature sounds. 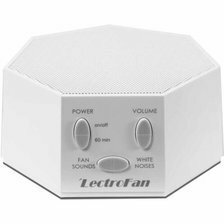 Summary Ideal for users who want the consistent sound of a live fan, but the sound quality and volume control is lacking compared to others we tested. Pros Easy to use with simple features and a compact design. 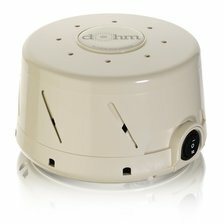 Features rich, high-quality white noise or fan sounds that can be turned up loud to drown out sleep-interrupting noise. Its sound quality is similar to the Ecotones for about half the price. Cons Though its sounds are high quality, it lacks the nature sounds that other models have. Summary A great sound machine for users who prefer white noise and fans sounds, and like a model with a basic design. Pros An inexpensive model that offers similar sound options and timing controls as more costly models we tested. We love that it is also compact and easy to take along when traveling. Also features an extensive volume range. Cons Sounds are not quite as rich as those of more costly models, and looping sound interruptions are somewhat noticeable. Summary Budget-minded users who want a basic model will be pleased with the quality, features, and the price.